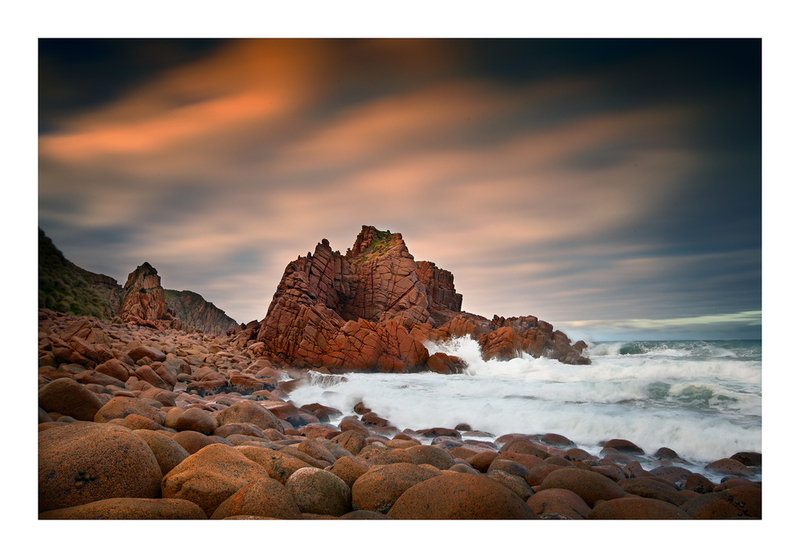 The pinnacles, Cape Woolomai, Phillip Island, Victoria, Australia. A combination of HDR and long exposure. Canon 5DmkII 1/20sec @ f/16 ISO160 EF16-35mm LII f/2.8 @ 27mm - 0EV (plus -2EV, +2EV) HDR using photomatix blend with exposure 30sec @ f/16 ISO160 plus 7 other exposures (1/25sec) of different wave patterns to convey the feeling of being there with the wild ocean. Lee 0.9GND on all frames, Lee big stopper on long exposure in addition.